Villanova fans, you can buy this week’s magazine here, and our special Villanova commemorative issue here. HOUSTON — It was a game played under the specter of history: Each side is proud but on different scales. 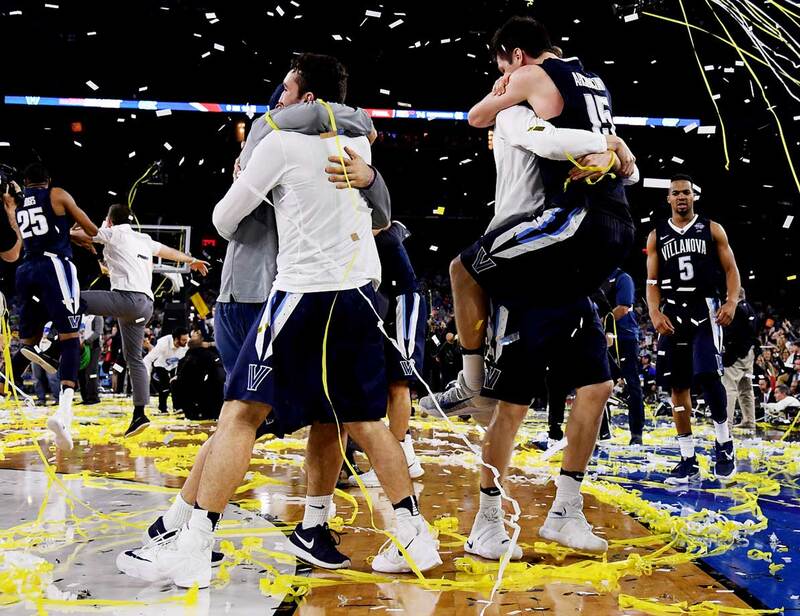 On one was Villanova, a program whose history has been defined by an unlikely championship three decades ago and which has since been dedicated to the chase of an elusive second one. 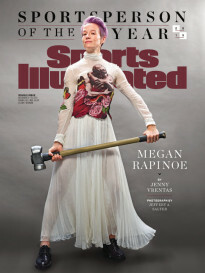 On the other was North Carolina, owner of five titles and forever expectant that the next one might come now. Reminders of each laced NRG Stadium. In the stands were a number of Villanova fans clad in T-shirts reading PARTY LIKE IT’S 1985, as was Rollie Massimino himself, the coach of that team, who sat behind the Wildcats’ bench. At least one member of each of North Carolina’s five championship teams was there, chief among them Michael Jordan, a winner in 1982 and a magisterial reminder of the type and volume of his alma mater’s storied tradition. 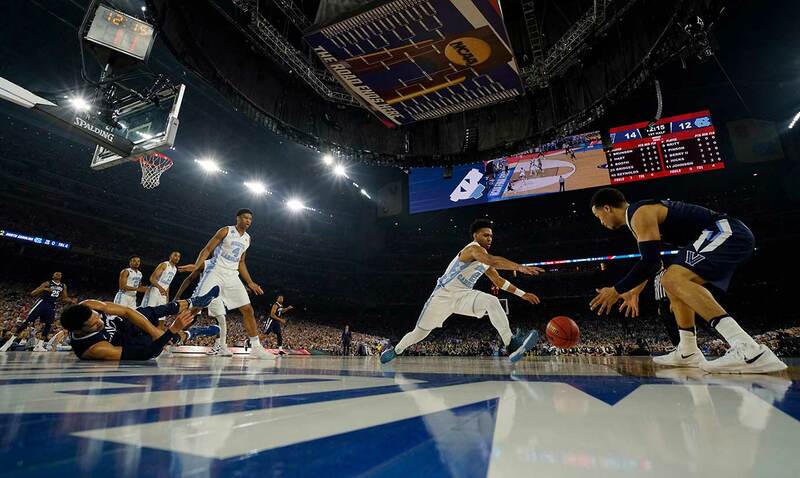 And yet even if none of that prologue were there, if it were not Villanova that had won Monday’s national championship 77–74 and it were not North Carolina that had lost it, the game they played would have created enough history on its own. 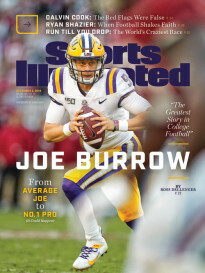 It was a game that both sides will remember for as long as they remember anything, a doubtless all-timer that will be forever encased in glory by the Wildcats and agony by the Tar Heels. 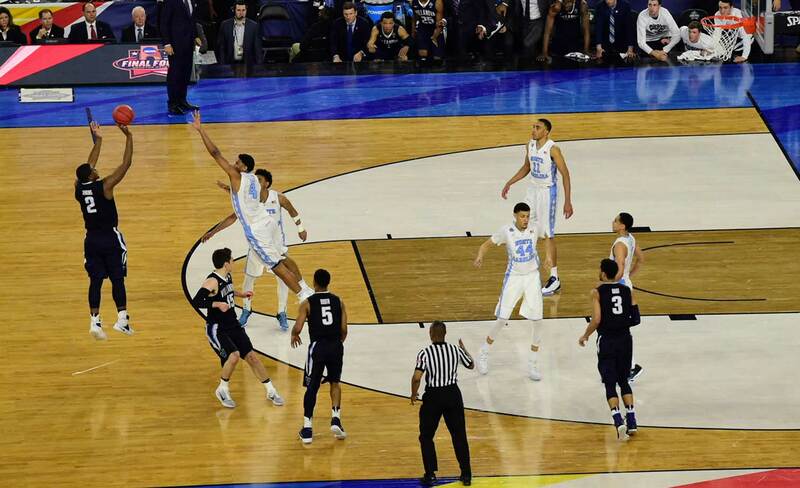 It was decided only at the last available moment, by the most dramatic of instruments, a deep and drained three by Villanova’s Kris Jenkins that will now take its rightful place among the most celebrated, dramatic and defining shots in the history of this game and the tournament that it culminates. Kris Jenkins shoots the game-winning three pointer to push Villanova past the North Carolina Tar Heels 77-74 in the national title game. 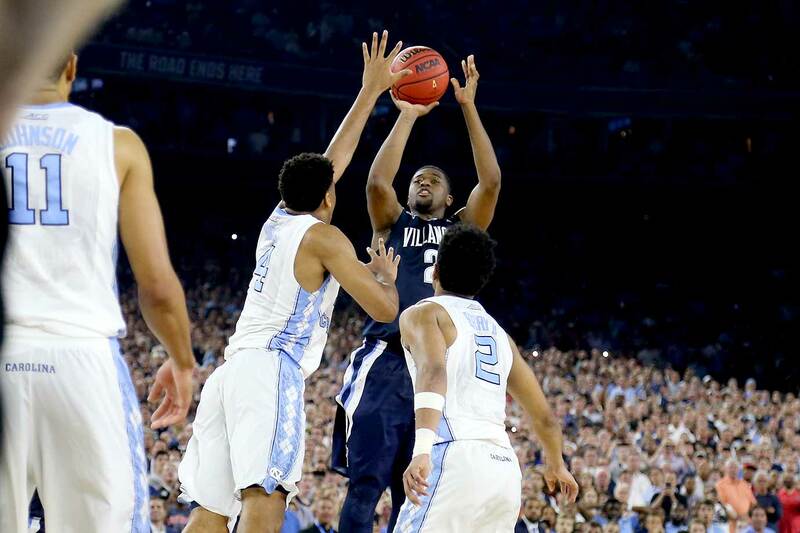 Kris Jenkins said after the game that he thinks all of his shots are going in and that this one was no different. 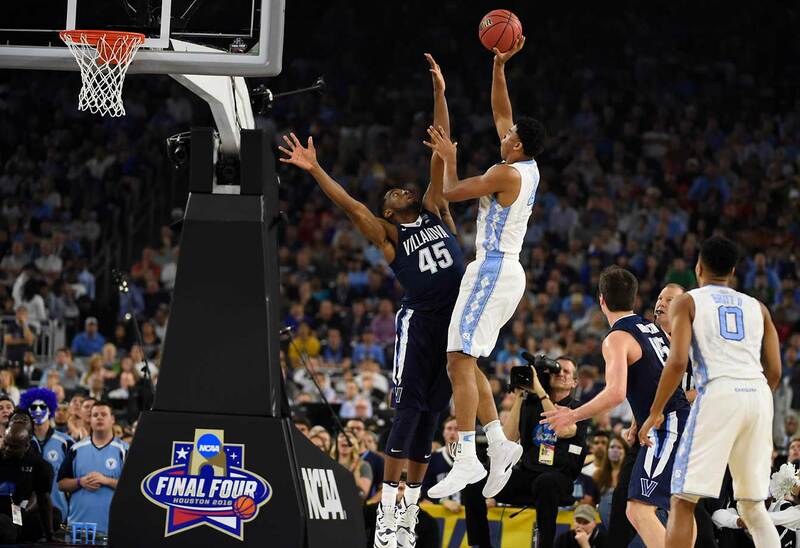 Kris Jenkins scored 18 points against Carolina, none more painful than his game-winning three. Kris Jenkins is mobbed by his Villanova teammates after his buzzer-beating three gave the Wildcats a 77-74 win over North Carolina. 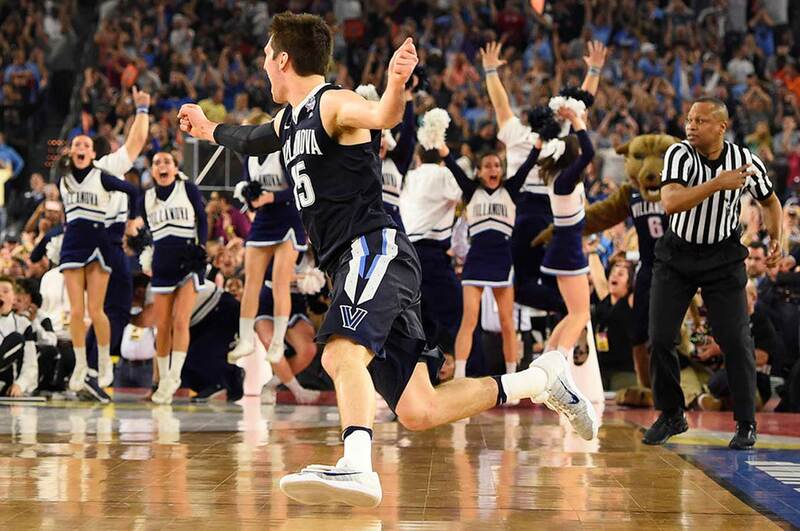 Ryan Arcidiacono runs around in joy after his assist to Kris Jenkins earned Villanova the national basketball title. Kris Jenkins and his mom celebrate after his clutch shot. 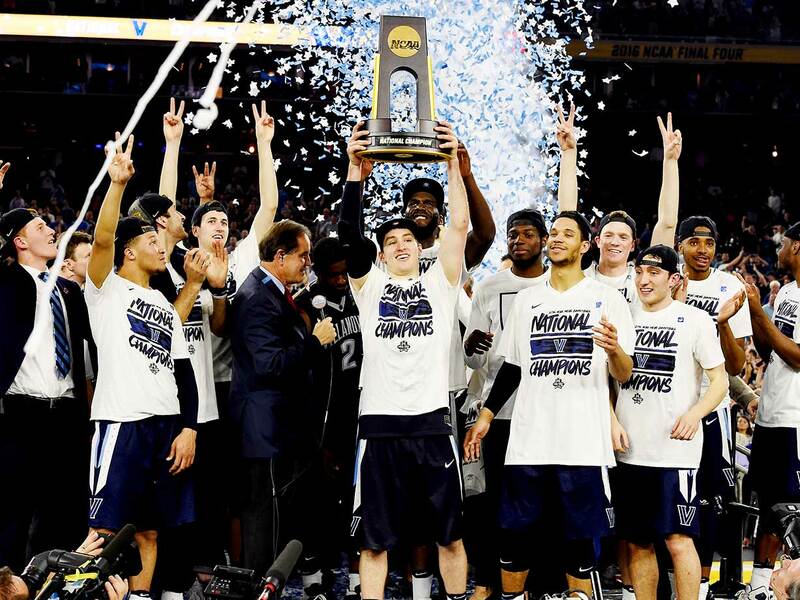 Villanova players celebrate the school's first national basketball title since 1985. 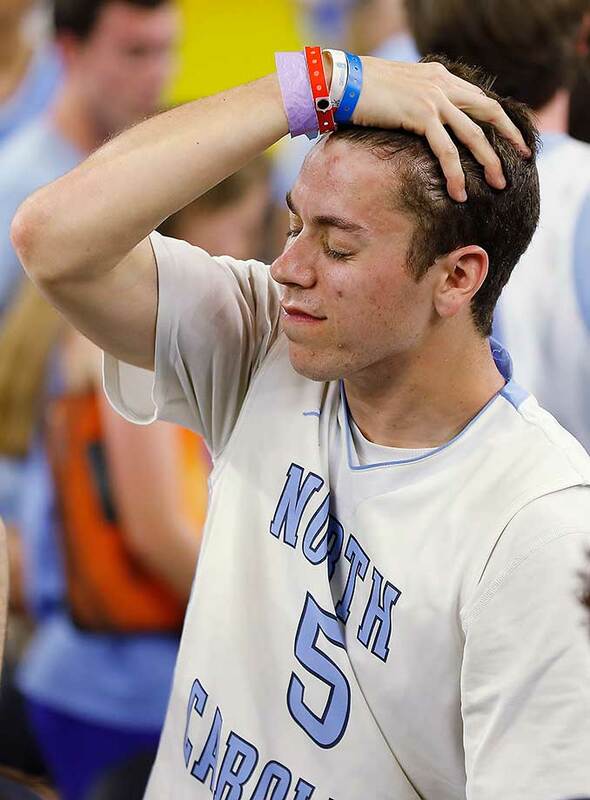 A North Carolina fan reacts after his team lost in grueling fashion to Villanova. The lone No. 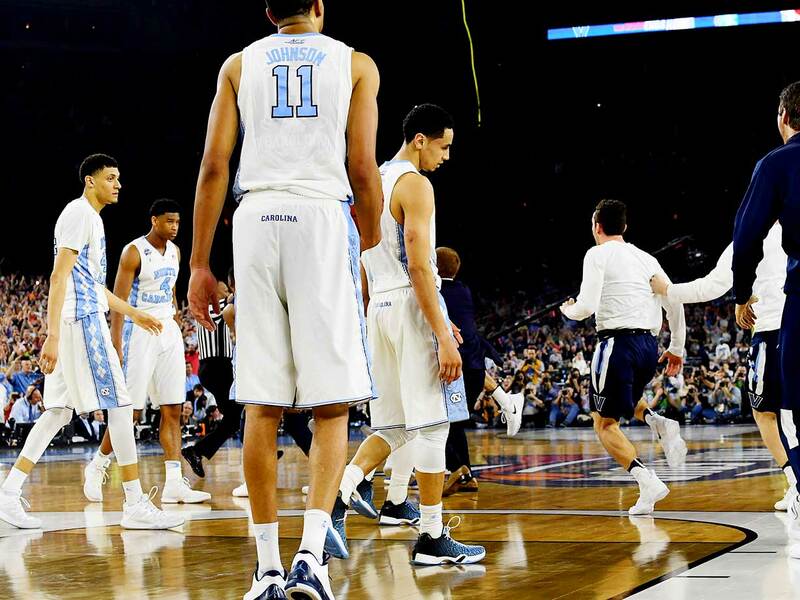 1 seed in the Final Four, Carolina saw its season end in defeat. 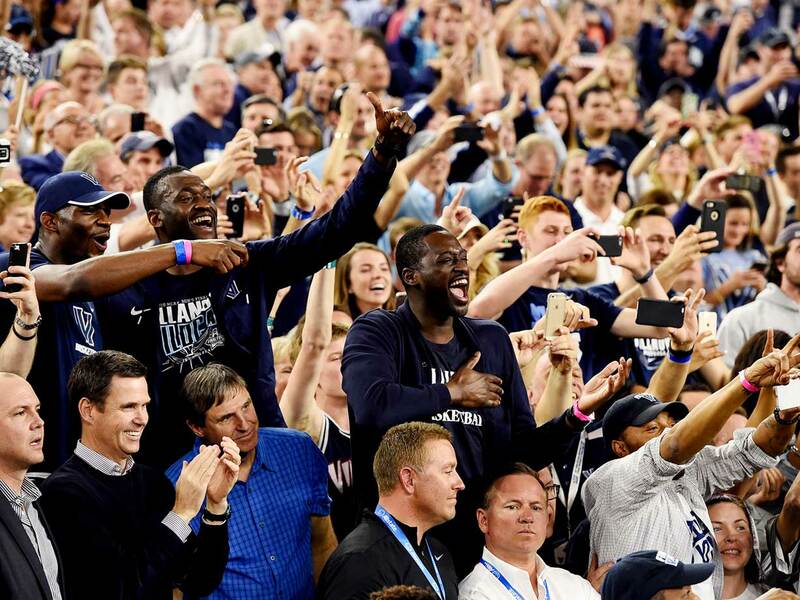 The Villanova fans who made the trip to Houston celebrate a long-awaited national title. Ryan Arciadiacono holds aloft the championship trophy with his Villanova teammates soaking in the moment. 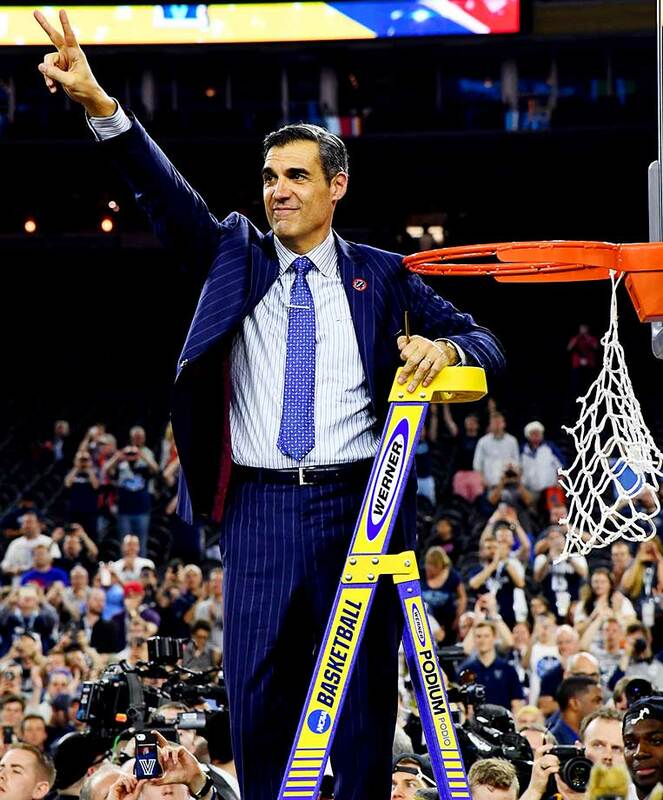 Villanova coach Jay Wright cutting down the nets. If not for the buzzer-beater by Kris Jenkins, this game-tying three-point shot by Marcus Paige of North Carolina figured to send the game into overtime. The Tar Heels hit 11 of their 17 three-point attempts. 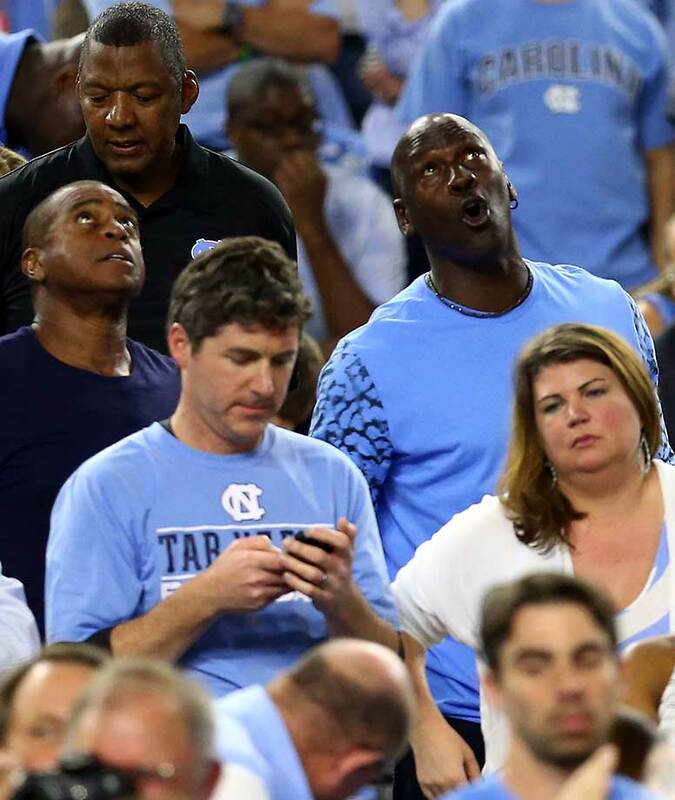 North Carolina alum Michael Jordan takes in the action at the national championship game. 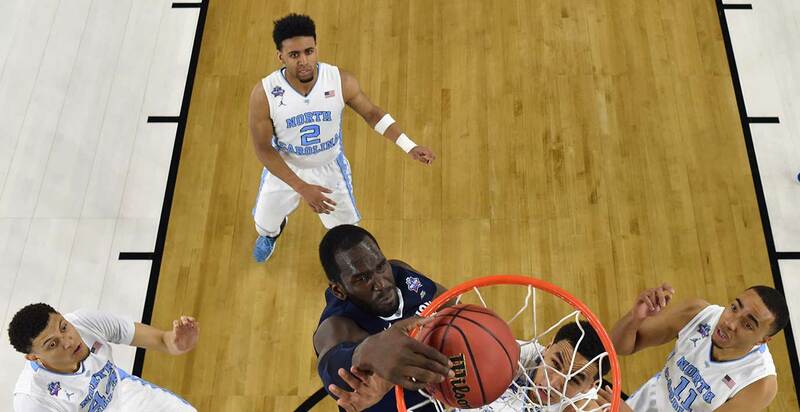 Daniel Ochefu scored nine points, had six rebounds and two blocks for Villanova. Phil Booth scored a career-high 20 points off the bench for the Wildcats. 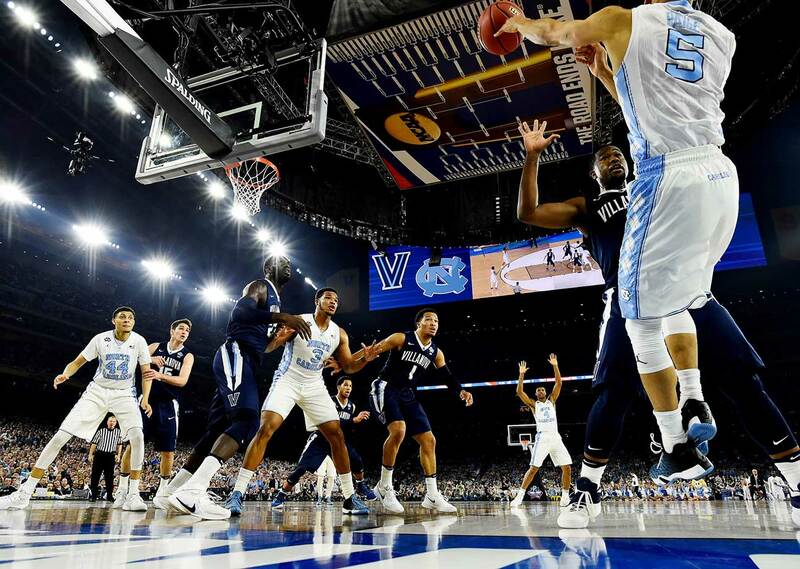 Senior Ryan Arciadiacono had the hot hand early and late for Villanova, but he'll forever be remembered for the shot he didn't take in favor of passing to ball Kris Jenkins. North Carolina had 11 turnovers to Villanova's 10. Marcus Paige led Carolina with 21 points. 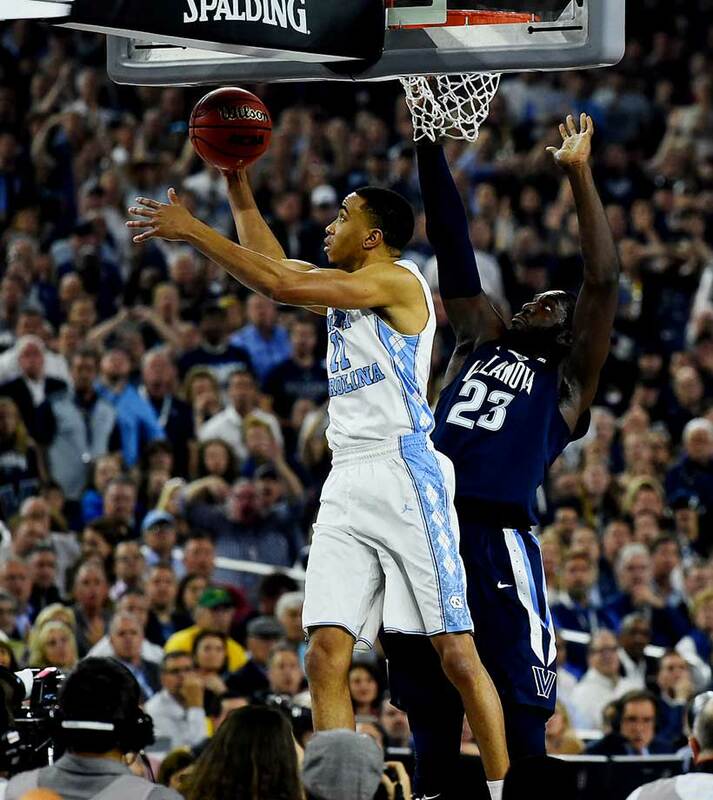 Brice Johnson had his worst game of the 2016 NCAA tournament, scoring just 14 points. Josh Hart and the Wildcats outhustled Carolina on several plays, but also blew a 10-point lead in the waning minutes. Isaiah Hicks works the inside for two of his four points. 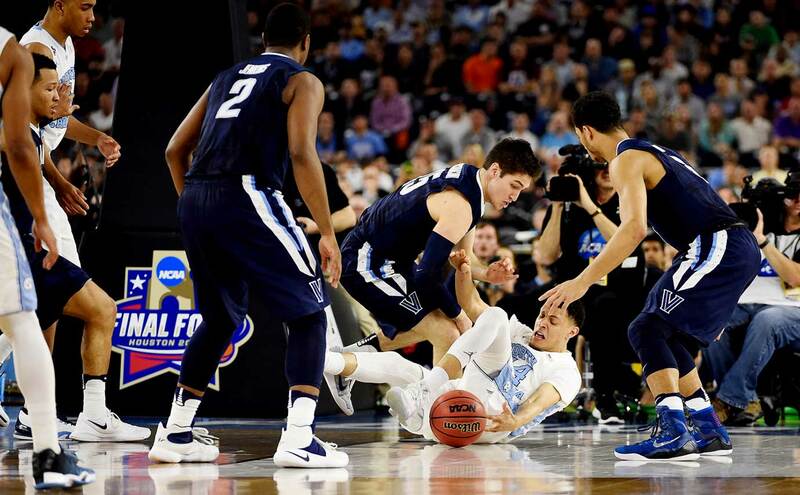 Jalen Brunson hopes that a pass arrives before a North Carolina defender can get to it. Reserve Joe Berry II scored 20 points for North Carolina, 15 of those in the first half when he hit six of seven shots. Josh Hart keeps his eye on the ball as Villanova improved its record to 35-5, capped by a national title. Marcus Paige inbounds the ball against the Villanova defense. Isaiah Hicks goes up for a shot over Darryl Reynolds. 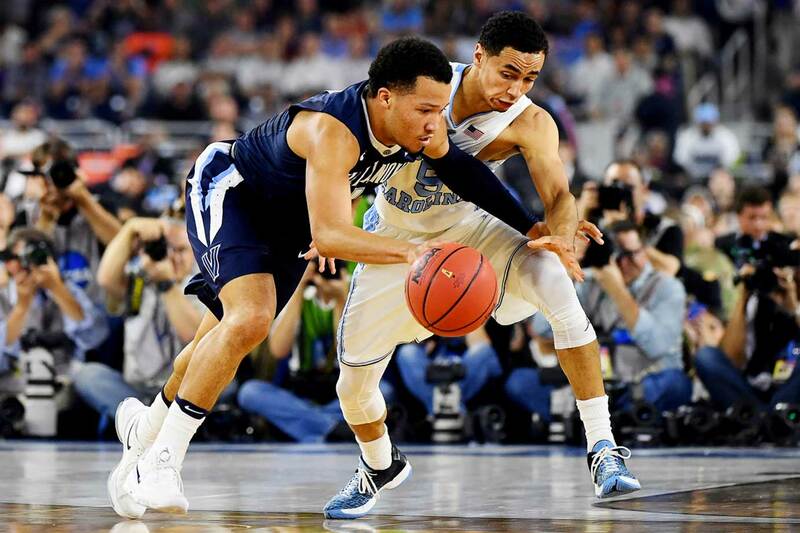 Jalen Brunson and Marcus Paige compete for the ball. 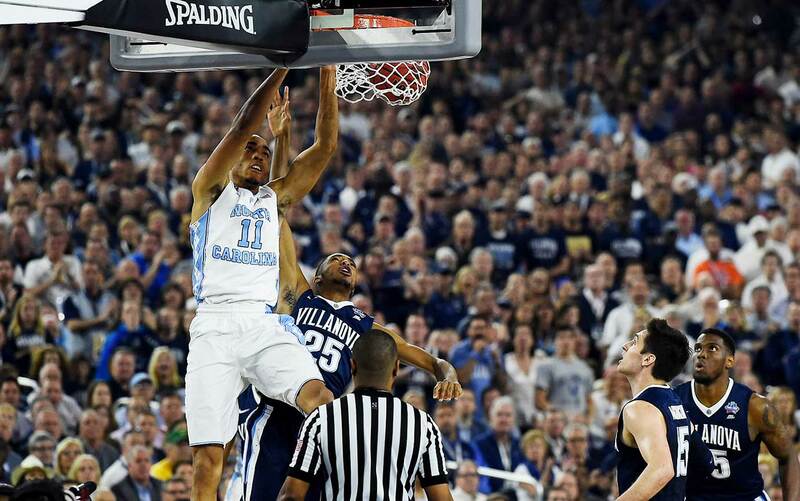 Brice Johnson had one of the signature moments in the first half, throwing down a massive dunk on an alley-oop pass. Justin Jackson hit three of his four three-point attempts to finish with nine points. 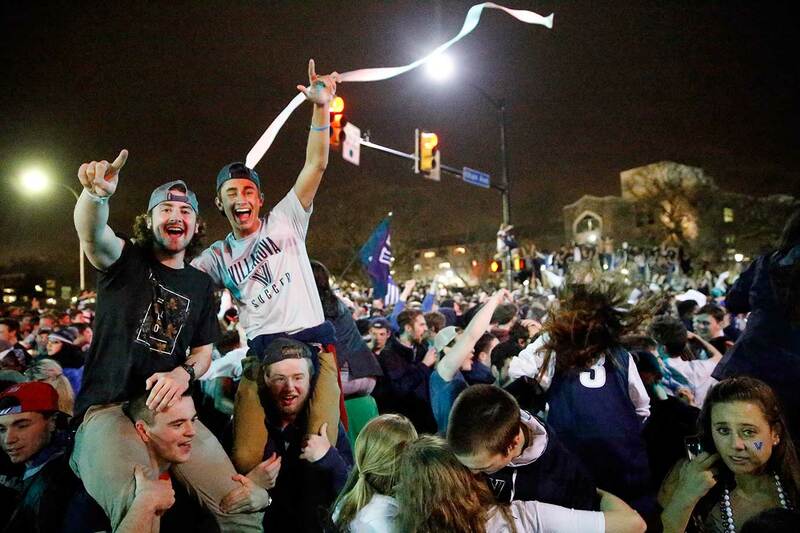 The scene in Houston after Villanova's victory. 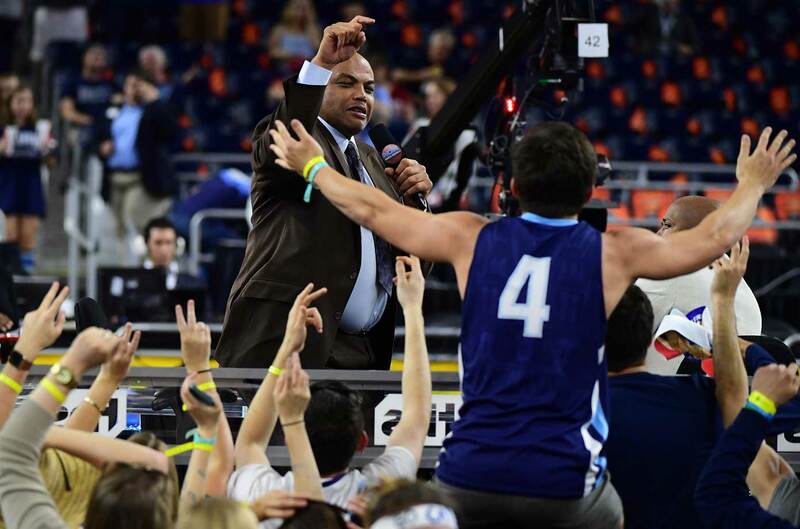 Charles Barkley interacts with Villanova fans before the game. 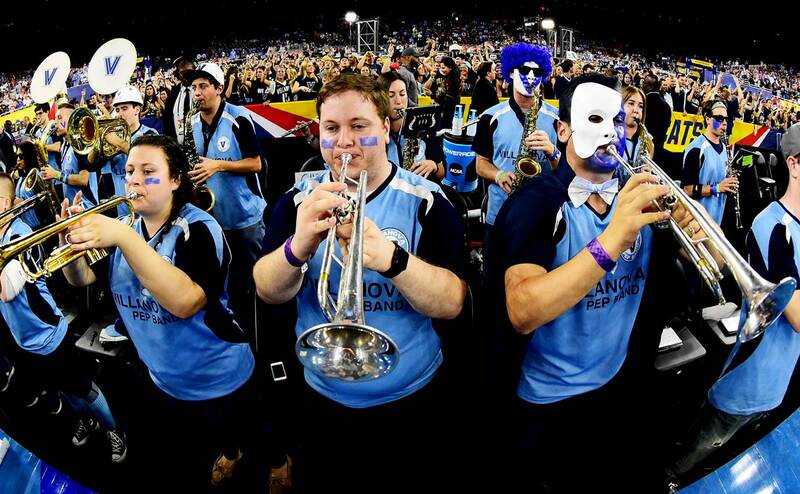 The Villanova band before the start of the game. 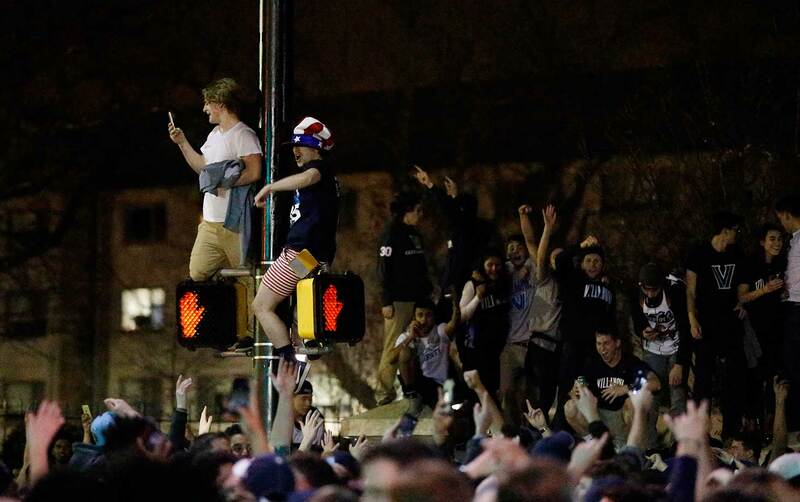 Fans celebrate in Villanova, Pa., after the Wildcats defeated North Carolina. 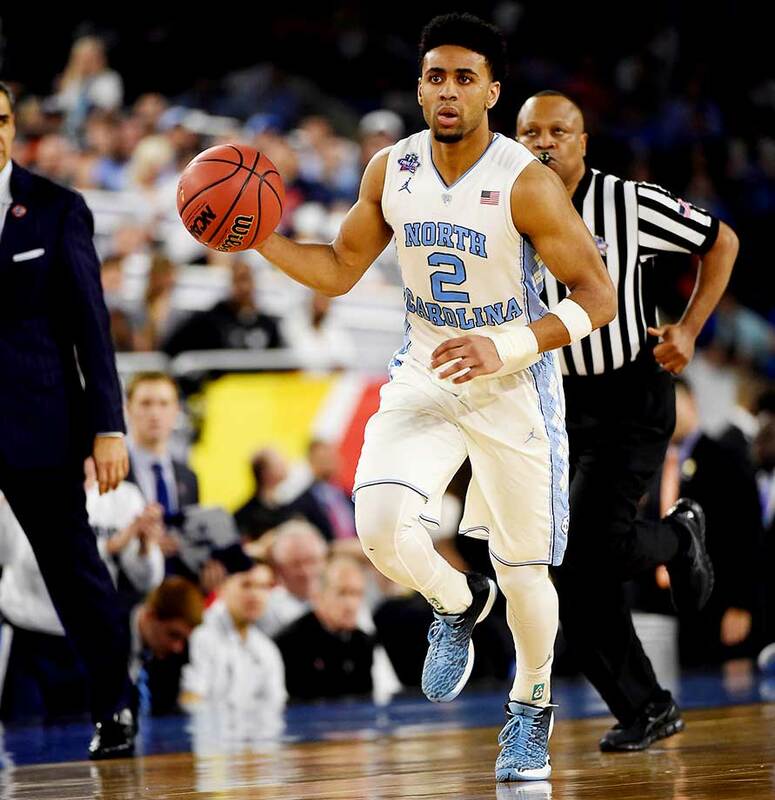 , but it was three-averse North Carolina that uncharacteristically made seven of its nine first-half attempts from outside, including a consecutive trio—by Justin Jackson, Marcus Paige and Joel Berry II—from the same left corner. Only in the first half’s closing minutes did the continued exchange of baskets give way to anything resembling one team’s control, when Berry II, the opening period’s unlikely star, scored 12 points in a six-minute span to help the Tar Heels take a 39–34 lead into the break. The advantage would not last long. The Wildcats erased their deficit with an early second-half surge led by role players like guard Phil Booth, who hit a mid-range jumper and then a triple to reinstall Villanova in the lead with less than 13 minutes to play. 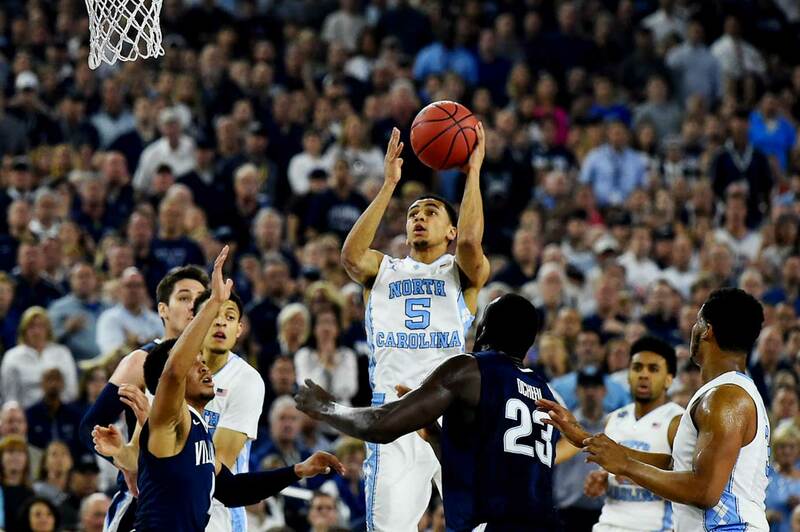 The Tar Heels began finally to get the ball inside, only for their usually reliable short-range shots to rim out. 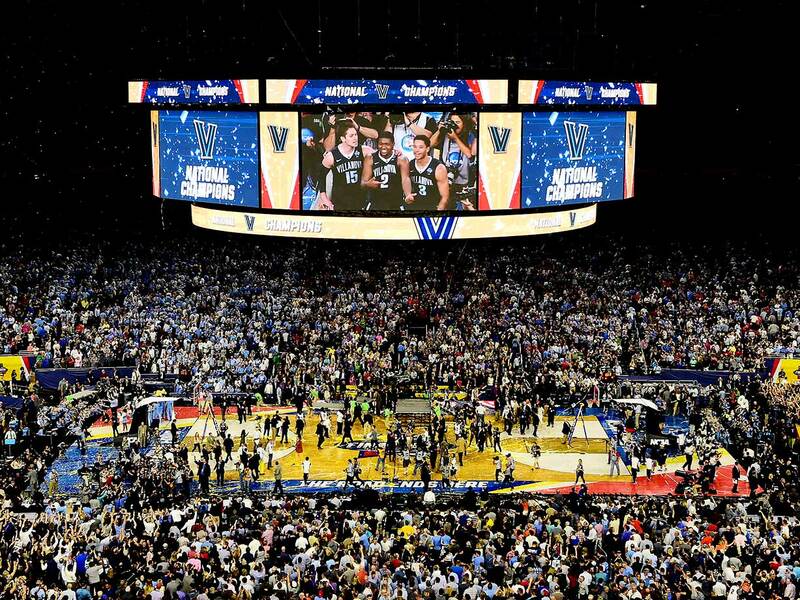 By the nine-minute mark Villanova had swung a seven-point lead of its own, regaining its Saturday-night liveliness with threes from Arcidiacono and the guileful Jenkins, who had been limited in minutes but not effectiveness in the first half by foul trouble. On the other end, Paige, the Tar Heels’ four-year face, would stubbornly not let his team fade, scoring five points in 50 seconds to prevent his team’s new deficit from ballooning. At the 6:50 mark came an opportunity reversal: Jenkins, who by then had 11 points, picked up his fourth foul while driving on offense and was removed from the game. Yet in the coming minutes it would hardly matter. An Arcidiacono three doubled a dwindling lead back to six. Booth, who would finish a career-high 20 points, continued picking up slack, at one point burying a strongly contested turnaround jumper from midrange. The Wildcats pushed into the bonus thanks to the Tar Heels’ too-aggressive defense; within 80 seconds of Jenkins’s exit, they led by 10. It would again get closer, the lead halving and then the teams exchanging missed free throws. Paige again drove into the lane and was swatted emphatically out of bounds by Bridges, only to cut the lead to three with a triple off the inbound to cut the margin to one possession with 1:30 to play. 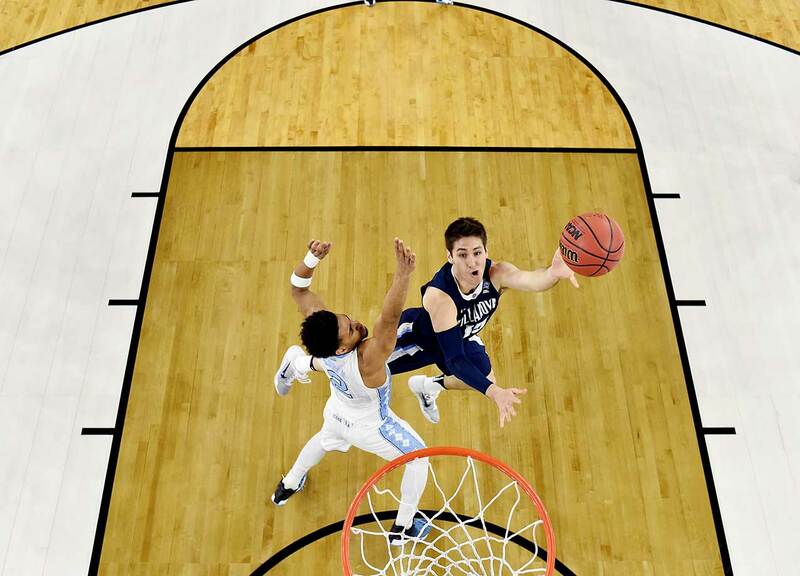 Against the Tar Heels’ pressure, Arcidiacono made a rare misfire, sailing a long pass out of bounds to return the ball to Carolina, for whom forward Brice Johnson would score to create a one-point game with one minute to play. That minute could have hardly been tighter. Tar Heels forward Isaiah Hicks was whistled for a foul against a driving Booth, who made both free throws to extend Villanova’s lead back to three. Paige drove, missed, somehow collected the rebound amidst the baseline fray and scored on a near-blind reverse layup. 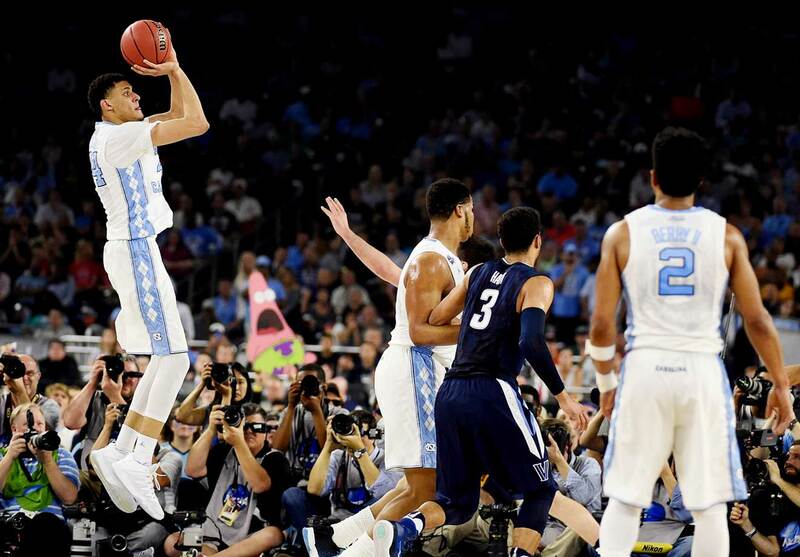 North Carolina fouled Josh Hart to regain possession and, after his makes from the line, possessed the ball down by three points with 13.5 seconds to go, setting the stage for a dramatic finish. What Paige then did is beyond quick description. He pulled up for a three and pumped once and then again in the air, splaying his legs as he launched a shot that somehow fell true to the game. During the ensuing Villanova timeout, the NRG Stadium stands rained orange seat cushions thrown in celebration. At the courtside broadcast desk, TBS analysts Kenny Smith and Charles Barkley shot up out of their seats and paced in disbelief. Just under five seconds remained to create the unforgettable. The stadium rose in anticipation. Arcidiacono drove up the court and dumped a pass to a nearby Jenkins, who launched a three that if you have not seen now you will be seeing soon and again for as long as they are showing this sport’s highlights. The horn sounded. It fell through the net. The stadium shook first with the crowd’s roar, then with the circle of fireworks shot from underneath its massive and overhanging scoreboard. 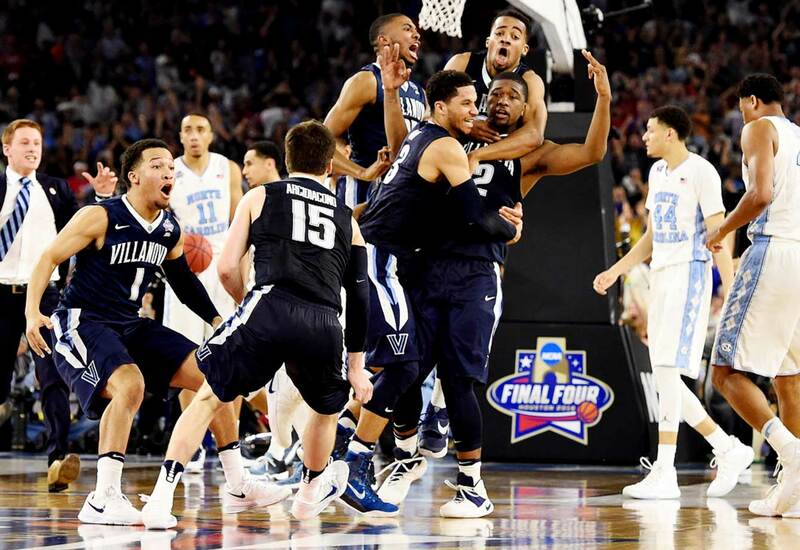 In their first act as national champions, the Wildcats piled onto Jenkins, while the Tar Heels walked solemnly off the court. Each went into history, now bound together forever by a canonical classic.